The "411 On Fishing" : What Can I Catch on a Planer Board? What Can I Catch on a Planer Board? As the popularity of in-line planer boards continues to expand, lots of folks are asking....”what can I catch on a planer board?” The answer might surprise you. 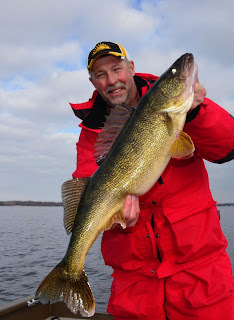 In-line boards are routinely used to catch fish like walleye, but what a lot of anglers don’t realize is just about everything with fins can be readily caught trolling with in-line boards. Personally, my list of fish that have been taken with the help of an in-line board reads like this.... walleye, pike, musky, steelhead, brown trout, lake trout, king salmon, coho salmon, pink salmon, Atlantic salmon, brook trout, splake, black crappie, white crappie, white bass, striped bass, largemouth bass, smallmouth bass, spotted bass, channel catfish, blue catfish and flathead catfish. Maybe I’ve forgotten a few, but the point is boards catch fish and lots of them. In-line planer boards serve several purposes for the open water troller. The ability to plane out to the side and cover more water is the biggest advantage of in-line boards. Not only do these boards plane out to the side well, they can be easily stacked two, three or even four deep per side of the boat to increase the number of lines and lures that are being used. The other critical service boards provide is they become “strike indicators” when a fish is hooked. It’s amazingly exciting to see a planer board jerking backwards when a stubborn fish is hooked. The visual impact is profound and it puts a smile on the face of everyone on board. A third and little understood feature of in-line boards is they can be fished a a wide range of speeds from super slow to super fast. Crappie anglers routinely troll boards at .5 MPH at the slow side of the spectrum and musky charters are pushing the limits to 4.0, 4.5 and even 5.0 MPH at the upper range of trolling speeds. walleye and many other species. It could be argued that just about everything an in-line board can do a planer board mast system can also do. It’s true that mast systems are great ways to fish lots of lines, spread out those line and troll at a host of speeds. What sets the in-line board apart from mast systems is cost. In-line boards are affordable and the typical angler can own a set of six in-line boards for a fraction of the cost of investing in a big set of skis, mast, retrieval system and of course all the necessary line releases. Think of in-line boards as the “working man’s board” and the picture becomes crystal clear. 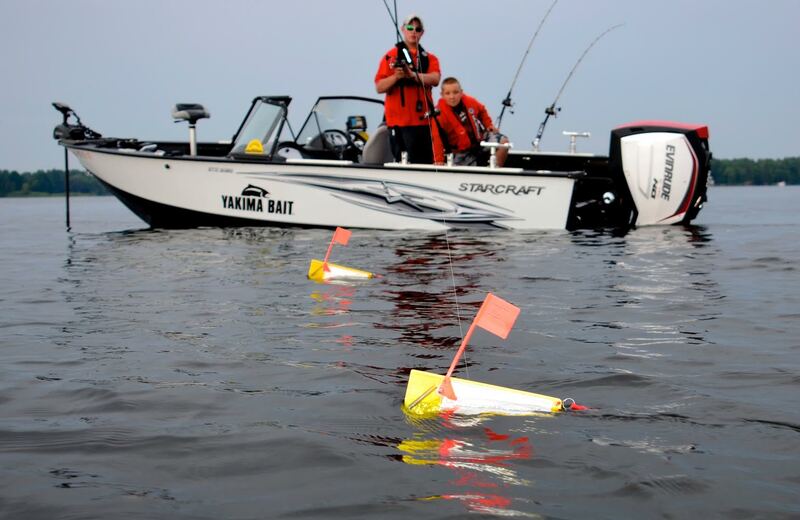 In-line boards are not only versatile, they are the most cost effective way to get involved in open water trolling. Another cool thing about fishing in-line boards is there is no shortage of resources out there designed to teach anglers the basics and finer points of board fishing. Off Shore Tackle routinely produces YouTube videos designed to help anglers better understand the ups and downs of planer board fishing. Simply Google in-line board fishing, planer board fishing or any set of key words that mention in-line boards and fishing and you will be swamped by video options to watch and learn from. Fishing 411 TV - YouTube, also produces a host of board fishing videos and television shows that focus on the use of in-line boards. Other great sources of board fishing information can be found at The Next Bite. Collectively more professional anglers fish Off Shore Tackle products than all the other board companies combined. Getting started fishing in-line boards is as simple as investing in a set, watching a few videos to get the basics and hitting the water to test these new found fishing skills. Board fishing is addictive and it doesn’t take long to master this unique means of covering water and contacting fish. For those who have never fished an in-line board, buy a set and see what all the buzz is about. Boards catch fish and isn’t that what fishing is all about?